In this paper, we investigate how the impatience that results from placing a price on time impairs individuals’ ability to derive happiness from pleasurable experiences. Experiment 1 demonstrated that thinking about one’s income as an hourly wage reduced the happiness that participants derived from leisure time on the internet. Experiment 2 revealed that a similar manipulation decreased participants’ state of happiness after listening to a pleasant song and that this effect was fully mediated by the degree of impatience experienced during the music. Finally, Experiment 3 showed that the deleterious effect on happiness caused by impatience was attenuated by offering participants monetary compensation in exchange for time spent listening to music, suggesting that a sensation of unprofitably wasted time underlay the induced impatience. 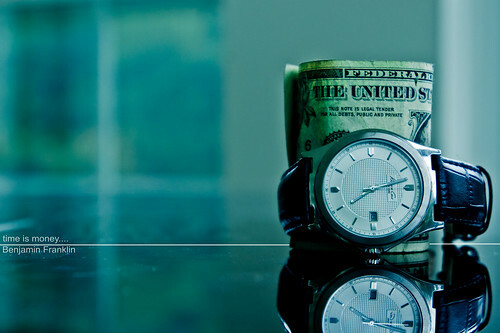 Together these experiments establish that thinking about time in terms of money can influence how people experience pleasurable events by instigating greater impatience during unpaid time.